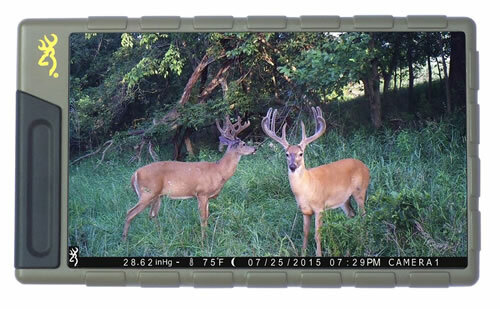 The new Browning picture and video viewer was designed for the hunter with multiple cameras in the field. The viewer features a 7" HD viewing screen and a built in rechargeable battery to create an affordable way to view your images and videos in the field without the need for a laptop computer. The viewer allows you to view images or videos right in the field as well as copy SD cards from multiple cameras directly to SD cards in a dedicated SD card slot.